Looked who joined us for dinner! Home → News → The Latest → Looked who joined us for dinner! 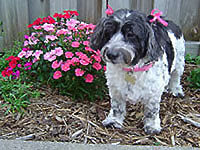 It was 82 degrees yesterday – a perfect Earth Day! I met a friend for dinner at a riverside restaurant, knowing the views along the water would be lovely. Did I say lovely? I meant unbelievable! 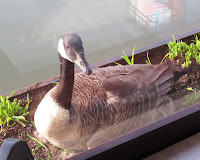 There, in the planter box outside the window, was a Canada Goose. 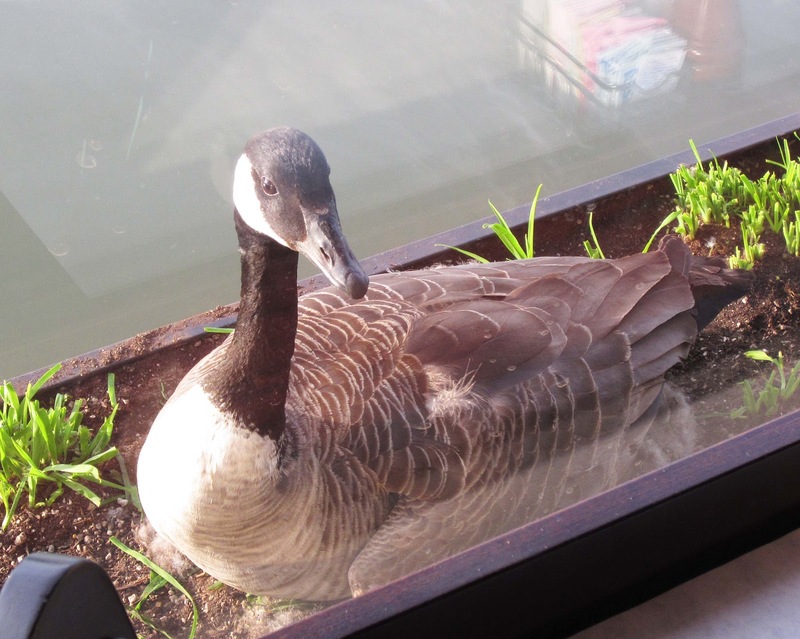 She was peering in through the glass, perfectly at ease with the guests in the restaurant and the people out on the deck. We both thought the same thing – how cool! 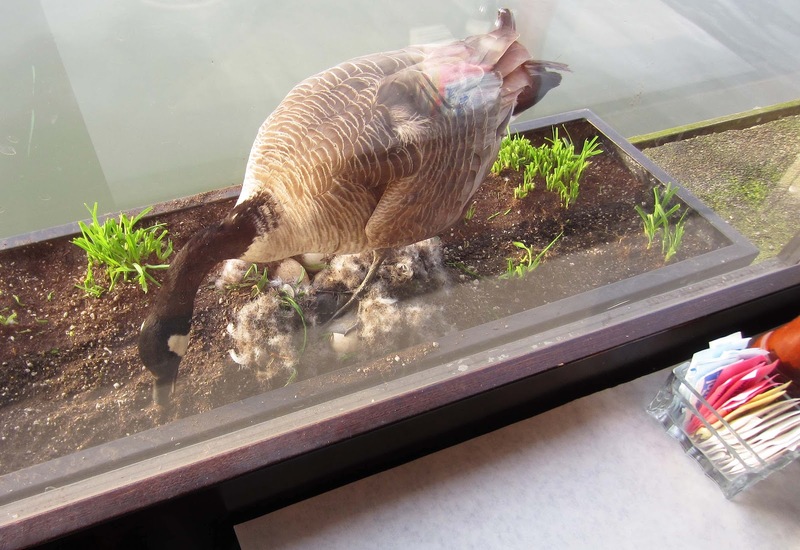 Then the goose stood up and we realized she was sitting on a nest filled with eggs! We also saw the daddy, who floated nearby in the water. 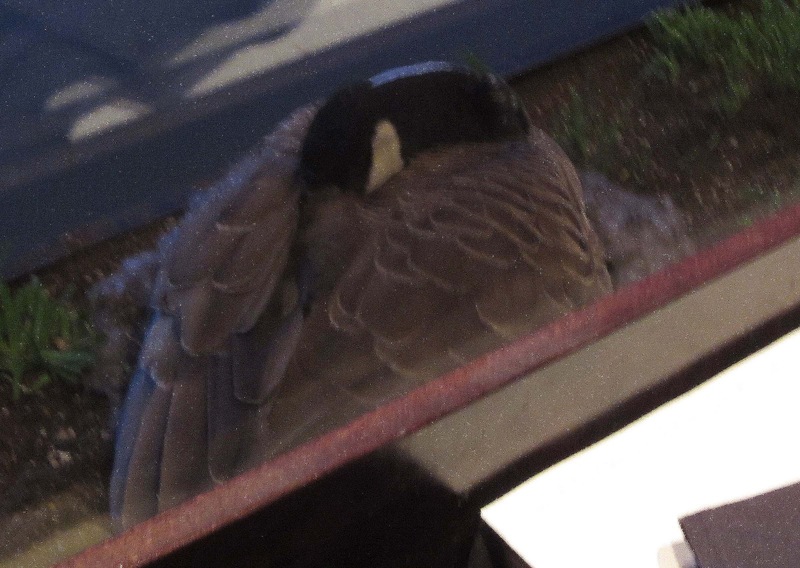 We were there for several hours, during which time Mother Goose came and went from her nest a few times. Papa Goose stood watch, honking at anything that might have been a threat to the kids. The sun set, and Mama’s day was finally done. She stuck her graceful head into her feathers and went off to dreamland.